Where Can I Find Information On Hare A.C.? Hare A.C. is a global community for runners and provides exclusive benefits, rewards, experiences and innovative race challenges. An overview of the program is available at tracksmith.com/hare-ac. Digital gift cards are available here. These are delivered by email to the purchasers' email address shortly after checkout.  Tracksmith is an independent running brand. We honor the Amateur Spirit upon which the sport was founded and champion the Running Class – the non-professional yet competitive runners dedicated to the pursuit of personal excellence. We offer well-considered and original products for training, racing and recovery. In everything we do, we aim to celebrate, support and add to running’s distinct culture. Returns need to be initiated within 30 days of ordering. You can start a return or exchange by visiting returns.tracksmith.com. For orders within the U.S., Tracksmith offers USPS First Class as well as FedEx services. USPS arrives to most locations in the Continental U.S. in about week. FedEx Ground and Home Delivery service arrives to most locations in the Continental U.S. within 2-6 business days. We also offer 2-Day and Overnight service for domestic shipping. Please note that at this time, we are unable to offer Saturday delivery and both of these express shipping options are based on business days. For international orders, Tracksmith offers FedEx International Economy, which arrives at most locations in 1 week, and USPS International Priority, which arrives at most locations within 2 weeks. Please note that these shipping timelines are only an estimate and that once an order leaves our warehouse, there may be carrier or customs delays that are outside our control. Additionally, we are not always able to make address changes after an order is placed, so please be sure your shipping address is correct before placing your order. Orders placed before noon EST typically are fulfilled same-day. Orders placed after noon EST may not be fulfilled until the following business day. Exact costs depend on order destination and service level. If you would like to get an exact estimate, please build your cart and begin checking out. You may choose your shipping service level and we will provide a quote based on your specifications. For international orders, please note that customs clearance is different in every country and that you may be charged additional shipping fees or tariffs on top of postage charges. These additional charges are the responsibility of the customer. Tracksmith ships almost anywhere in the world. If you don't see your country listed at checkout, send us a note at support@tracksmith.com. Please note that customs, duties, brokerage, and other fees may be applied to international orders. These fees are the customer's responsibility. If you are looking to unsubscribe from our print catalog you can do so here. Our first retail store, The Trackhouse, is located at 285 Newbury Street in Boston. Along with our online collection, we sell in select specialty running stores in the U.S. including Pacers - 14th St in Washington, D.C. & Clarendon in Arlington, Va., The Loop Austin, Runologie Raleigh, Fleet Feet Chicago, Ad Astra Big, and Peach Running. International customers can find a selection of Tracksmith apparel on Mr. Porter's UK website. If you are interested in carrying Tracksmith in your store, please write to us at support@tracksmith.com. Or, if you’re interested in placing a team or bulk order please write to us at the same address. You're sold out of a product I want. How can I get it? We do our best to restock products as fast as we can. If we do not have an estimated restocking date for a particular product you can choose to be notified by clicking the "Notify Me" link right below the purchase button. If you sign up to be notified, we will offer early access for you to purchase product before it sells out again. Within each product page on our site we have provided fit guidelines based on the piece’s garment measurements (note: these are not on-body measurements). We’re happy to answer any questions regarding fit. Please write to us at support@tracksmith.com.